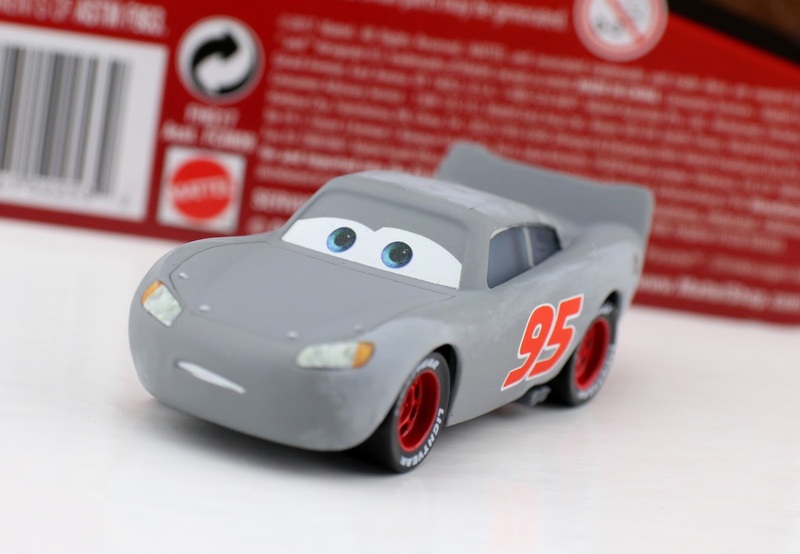 Available now only at Toys R Us, tonight I'm taking a look at the brand new Mattel Cars 3 Primer Lightning McQueen 1:55 diecast—as part of the ongoing "Radiator Springs Classic" collection! 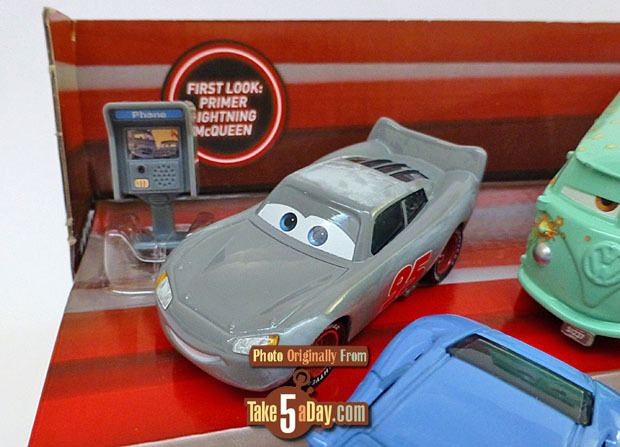 This has just been released in a wave with Cars 3 Intro Ramone, Flo, Fillmore and Sally with Tattoo, which I'll be showing off here soon as well. 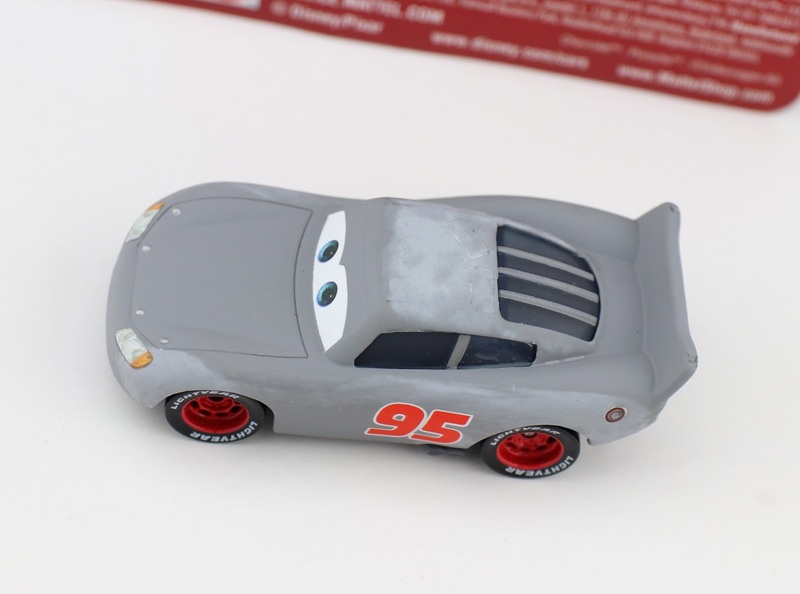 As shown in the screen shot above, McQueen is seen this way while in repair after his life-altering crash in the first act of the film. 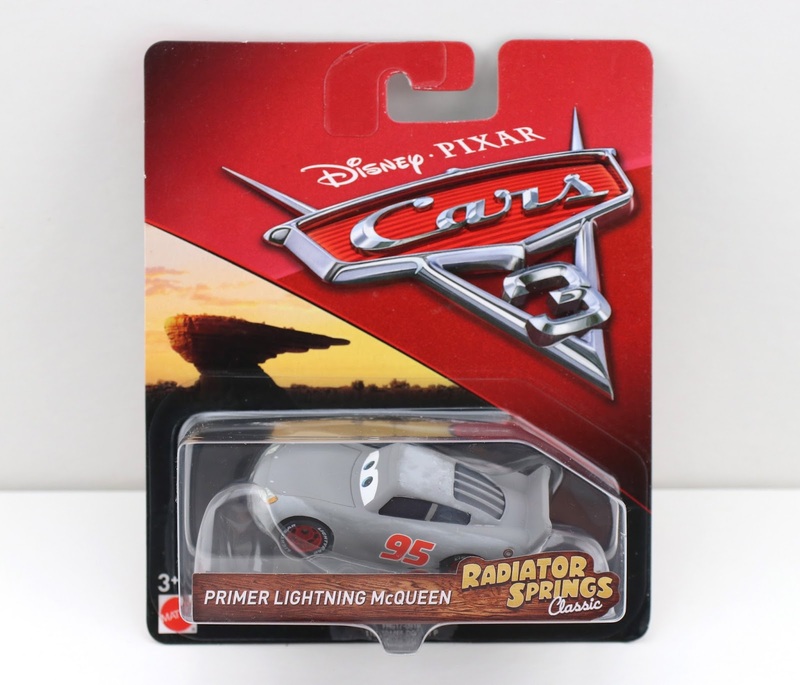 This diecast looks seriously great and really captures the scene when McQueen pours over old racing footage of Doc Hudson (one of my favorite moments). Really nice detailing! Visit your local Toys R Us to check for availability! You can also check current eBay listings HERE or Amazon using the link below. Let me know what you think and happy hunting!